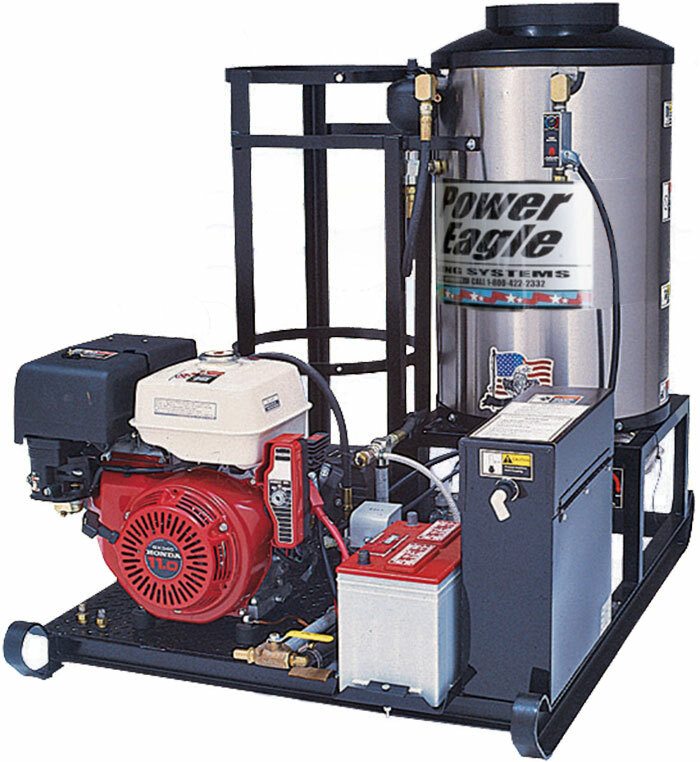 The Power Eagle PG series is ideal in circumstances where the user seeks propane as a fuel for both engine and heating system. The durable skid includes a 100 lb. propane tank holder (tank not included). 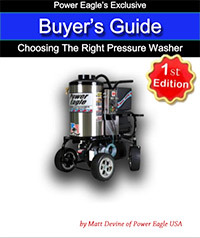 Being a self contained hot pressure washer, there is no electricity needed. The burner ignition and gas valve use millivolt technology. This makes the unit ideal for mobile washing. The PG-3005 is ideal for circumstances where the you seek propane as a fuel for both engine and heating system. The durable skid includes a 100 lb. propane tank holder (tank not included). Being a self contained hot pressure washer, there is no electricity needed. The burner ignition and gas valve use millivolt technology making it ideal for mobile washing.